Lemurian Healing is a modern name for an ancient approach to healing. Originating in the Goddess temples of Lemuria, this simple, gentle technique facilitates profound healing in the physical, emotional, mental and spiritual bodies. Lemurian Healing is simple to learn, but it's incredibly powerful. After I started practicing Lemurian Healing, I experienced huge changes in my life. I feel like a completely new person... happier and more confident. Learn Lemurian Healing here in Lemuria! Registration is now open for October 2019 Basic Level and Certified Practitioner courses in Honolulu, Hawaii. Learn about this unique healing technique, based on wisdom from the Goddess temples of ancient Lemuria. Want to learn Lemurian Healing? Anyone can become a Lemurian Healing practitioner. Read more about our Basic Level workshop, Certified Practitioner course, and Master Level courses. 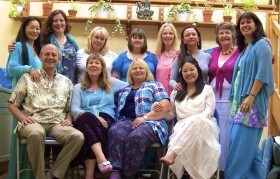 Aloha, and welcome to the English-language home of Lemurian Healing. We’re glad you found us. 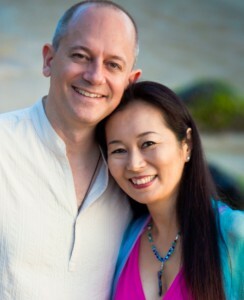 We’ve been practicing our unique, heart-based healing modality for more than 15 years and teaching it since 2007. We feel blessed to be able to share the magic of Lemurian love and light with so many awakening souls. If you resonate with the information in these pages, we look forward to connecting with you soon.